Facebook Edge rank is dead! 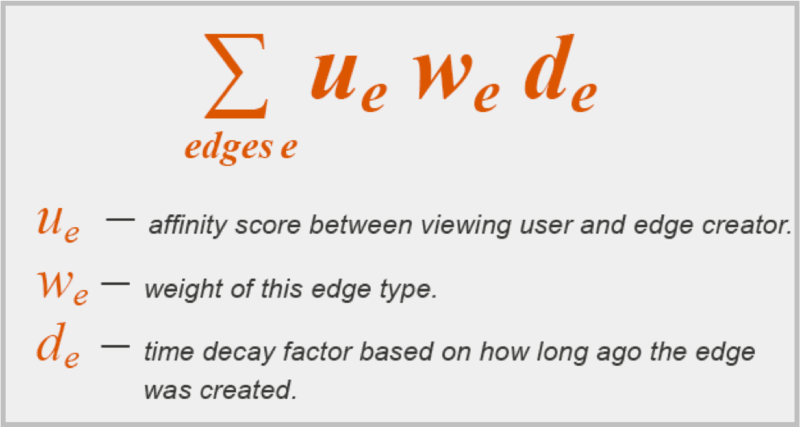 EDGE RANK is the name commonly given to the ALGORITHM that Facebook uses to determine what should be displayed in a user’s NEWS FEED. As of 2011. Facebook has stopped using the EDGE RANK term INTERNALLY to refer to its NEWS FEED RANKING ALGORITHM. Analysis of the Internet Retailer 500 Facebook Pages shows engagement sunk 27% in 2013 vs 2012, and rumors abound that Facebook’s News Feed algorithm is increasingly hiding Page posts to force marketers to pay for exposure in the News Feed.